As you can see, they’ve gone with a variety of ‘western-y’ typefaces and some sepia-toned cast images to aptly convey the atmosphere of the film. They’ve also highlighted some of the film’s countless positive reviews, from outlets including The Guardian, Time Out and Village Voice. And look, there’s even a quote from popular film-magazine-that-isn’t-Empire, Total Film. 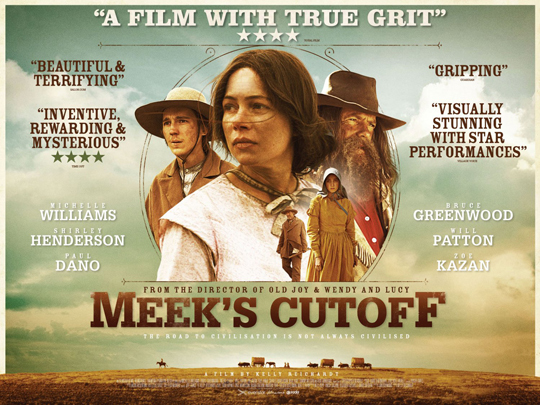 They’ve given the film 4/5 stars and in their inimitably lazy way, alluded to similarities between it and True Grit. The films are entirely dissimilar of course, but DEY IS BOF WESTENS AND TRUE GRIT DID WELL AT DUH BOX OFFISS, RITE? Total Film: doing PRs’ work for them since 1997.